October, the time for haunts and horrors! 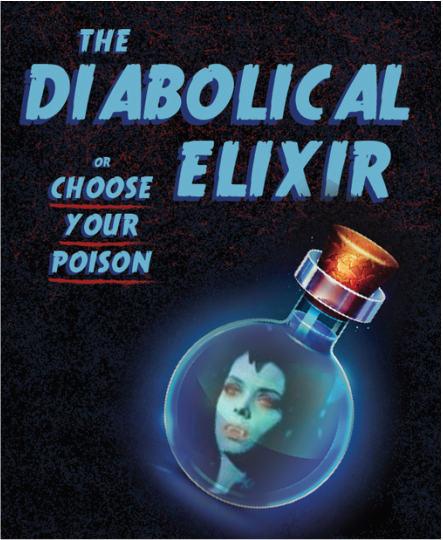 The Merc Playhouse presents its Fall performance of mayhem and madness in an all-local production of The Diabolical Elixir, onstage in the style of a traditional radio show, complete with live Foley sounds. Directed by Ki Gottberg, this production follows the style of The Vampire that visited The Merc the past two Fall seasons. The story is adapted from melodrama classics such as The Devil’s Elixir or The Shadowless Man, and will involve contemporary touches that will keep audiences on the edge of their seats with anticipation, laughter, or both! Opening Friday, October 23rd, the show runs two weekends, closing with a late-night showing on Halloween Night. October 23rd through October 31st, Wed, Thurs & Fri at 7:00 PM, special time on Saturdays at 9:00 PM. Wednesday, October 28th is Pay What You Can Night. Purchase tickets at the door or online at www.mercplayhouse.org. General seating. Doors open 30 minutes prior to show time.